What Do I Do If I Damage My Dentures Killeen, TX? If you have dentures, it is important to handle them with care so they can remain in as good a condition as possible. Still, it is wise to ask, “What do I do if I damage my dentures?” We can offer the information and tools necessary to address a problem if you have one. At Texas Star Smiles & Fastbraces can answer any questions you have regarding denture care. To schedule an appointment with our dental office, call (254) 237-1342. In the meantime, here is what you should know. If your dentures are damaged, visit our dental office so we can examine them and determine the best way to fix them. One thing you should keep in mind is that your dentures will need to be adjusted one or several times when you first receive them. Patients may call our family dentist office worried that they did something to cause their dentures to fit incorrectly, when in actuality, they only need to be adjusted so they can fit perfectly. We are an emergency dentist, so if you did indeed damage them, we encourage you to schedule an appointment with our dental practice right away. You can do so by calling 254-237-1342. Gather anything that has broken off. We encourage you to gather any piece of your dentures that has broken off, including any of the wiring. Use dental wax. 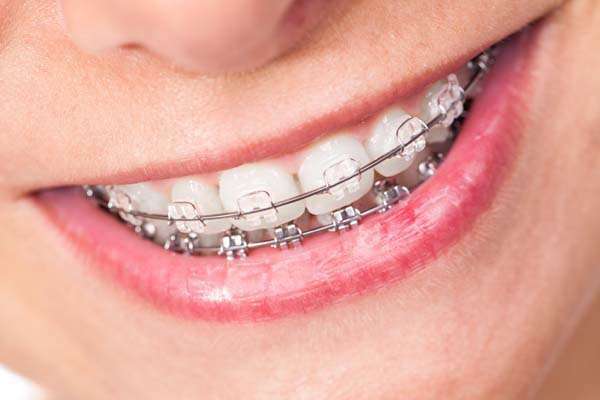 If the clasps have become slightly loose, they could be rubbing against your gums and irritating them. In this case, you may want to buy dental wax to place on the wire as a temporary barrier. Be sure to see a “dentist near me” who can treat you quickly. Take them out. Soak your dentures or place them in a case for transportation to our office. Do not continue wearing damaged dentures. Check out what others are saying about our damaged denture support services on Yelp: What Do I Do If I Damage My Dentures in Killeen ? Texas Star Smiles & Fastbraces warns patients to avoid doing the following, since this can permanently damage dentures and reduce the likelihood that they can be repaired. Do not buy a home repair kit. These can cause your dentures to break even further, and we have treated patients who have had to spend more money because of it. Do not use over-the-counter glues. Some of them are full of chemicals that can harm you. It is not worth the risk when you can visit our dentist office for help. Dental crowns and dental bridges. We can address partial tooth loss with dental crowns and dental bridges. In this case, the remaining teeth are prepared to create space for the dental crowns. 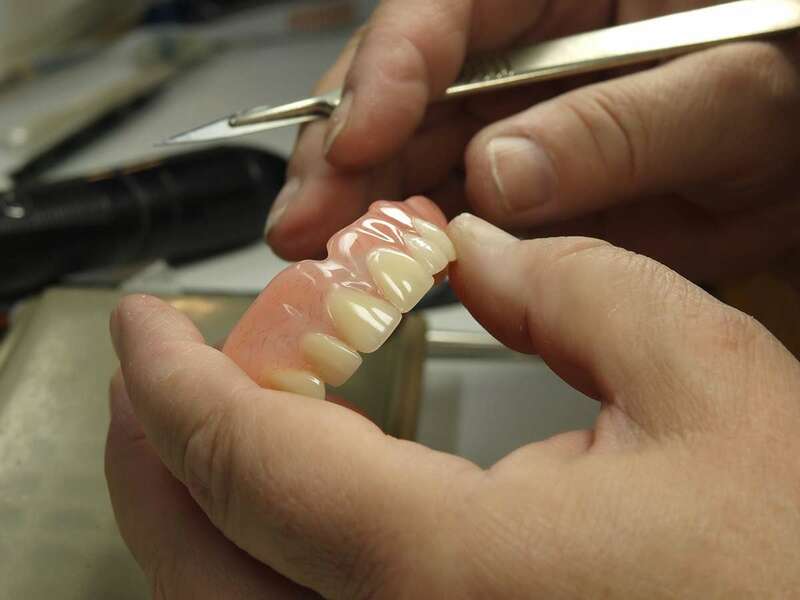 Simultaneously, the crowns, gum base, and new teeth (bridge) are created in the dental lab. You will then come in for the crowns to be secured to the teeth adjacent to the missing ones. These crowns will serve as anchors to hold the bridge in place. In this way, your new teeth will be secure enough to enjoy your favorite foods, speak with confidence, and smile without being concerned about how your teeth may appear. You can care for your dental crowns and dental bridges like you would your natural teeth, and they should remain in place for years. If you want a solution that replaces your teeth without requiring support from your remaining ones, dental implants are a better solution. In this procedure, a titanium post will be implanted under the gums and secured to the jawbone. 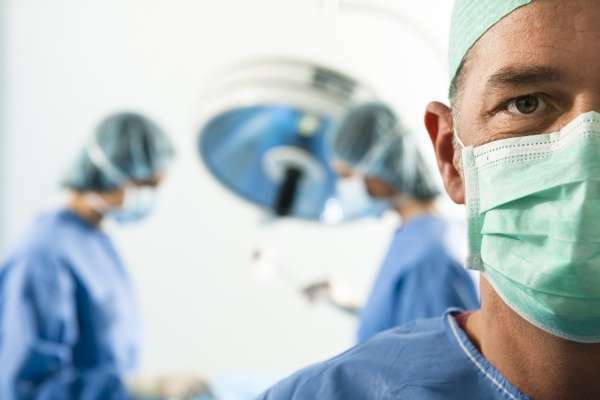 Over the course of several months, the post and bone will fuse together through the process of osseointegration. This creates a durable root system for your new tooth to be attached to. Dental implants look, behave, feel, and function exactly like natural teeth. You can eat what you like, be active, and enjoy life without ever worrying about your replacement tooth or teeth. As a general dentist, we regularly hear rave reviews from our patients who have switched from dentures to implants. Life with dental bridges and dental implants can be far more convenient than it is when wearing dentures. Dentures need to be removed every night for cleaning and soaking. This can be inconvenient and even embarrassing. Simultaneously, dentures can become loose when eating or speaking, which can be worrisome when going out to eat or attending a public event. None of these problems exist when you replace teeth with a fixed solution. We can discuss all your options for teeth replacement and also improve the appearance of any remaining teeth. By offering solutions like teeth whitening and dental veneers, our family dentist office will do everything possible to enhance your smile while restoring your missing teeth. If your dentures need to be repaired, call (254) 237-1342 and schedule an appointment with our dental center right away. We can adjust them so the fit is improved, have damage corrected at the dental lab, and make sure your dentures fit as well as they possibly can. Since we are an emergency dentist office, we can schedule your appointment for the same day in many cases. If, however, you are tired of life with dentures, we are a cosmetic dentistry office and can provide you with alternatives that make it easier to enjoy life without thinking about your teeth. Texas Star Smiles & Fastbraces was established in 2011. Is the FastBraces Teeth Straightening Treatment Effective? © 2019 Texas Star Smiles & Fastbraces. All Rights Reserved.